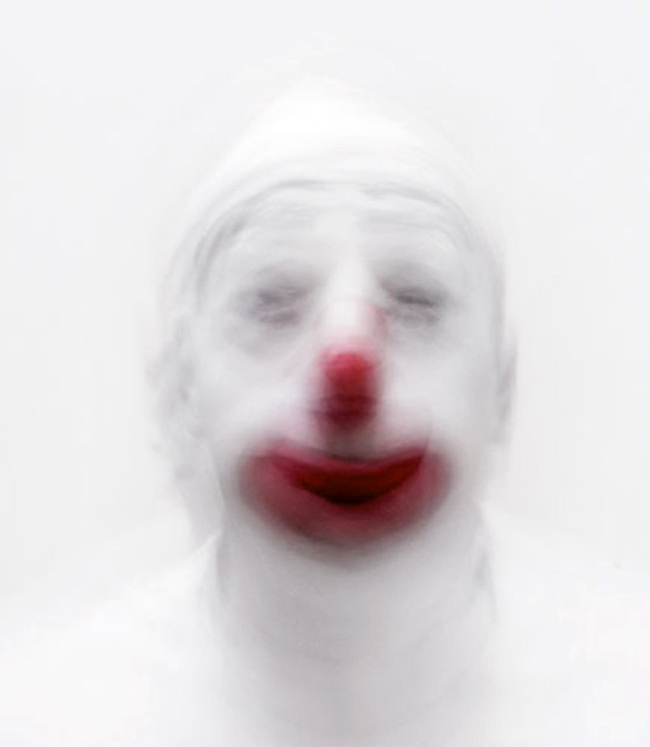 Surrounded by and submerged within a rich white background, [this series] is the portrait of a clown’s psychology. 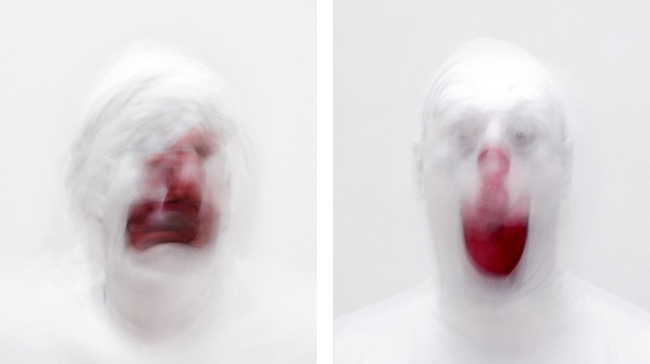 The powdered face of [a] genderless clown, with its gaping red mouth and bulbous nose, contorts for our amusement or disquiet like a child in front of a mirror or a stage performer warming up… Each photograph captures the clown’s countenance with long exposures turning a distinct subject into a blurry composite of expressions. Like a Bruce Nauman video, there is a kind of jest, a playful sense of the absurd in these photographs, behind which lurks a darker and more disturbing concern for the authenticity of character. The entry 'Roni Horn' was posted on August 23rd, 2010 at 9:45 pm	and is filed under Uncategorized. You can follow any responses to this entry through the RSS 2.0 feed. You can leave a response, or trackback from your own site.